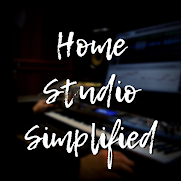 Home Studio Simplified: Free Guitar??? This weekend I am traveling to Greenwood to pick up a free guitar! That's right, no strings attached, well it does have 6 actually, but it is 100% free! This was made possible by a man named Don Cherry who has a ministry called "Strings With Wings". Not to long ago he gave me an acoustic and an electric, well since then I gave my electric to precious little girl in the church who was wanting to learn the guitar. I write him and tell him how good it felt to return the blessing to another and then he proceeds to tell me to come get another one! The only reason I ever found out about this guy is through prayer! And let me tell ya it DOES work!